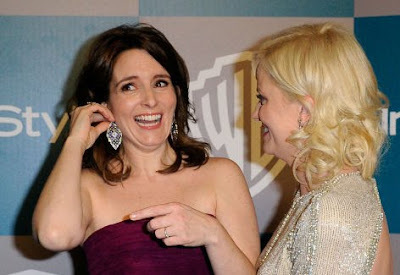 Here, actress Tina Fey wears the same earrings at the 2012 Golden Globes. Kwiat Vintage sapphire and diamond Minaret earrings in 18K white gold. 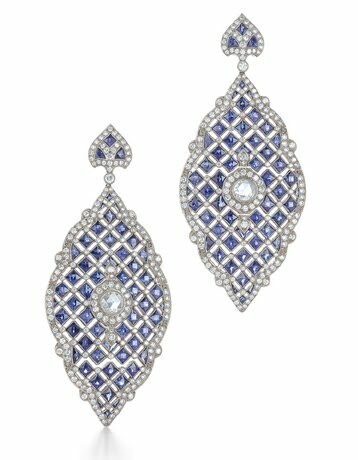 Classic rose cut diamond center surrounded by a brilliant pattern of cobalt sapphires and white diamonds. 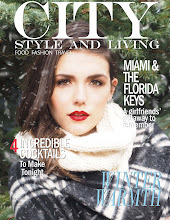 We think these elegant beauties sparkled on CSL's Spring 2012 cover! Showstoppers.